Let your creative colors show with Austin, a theme built to bring your vision to the rest of the world. 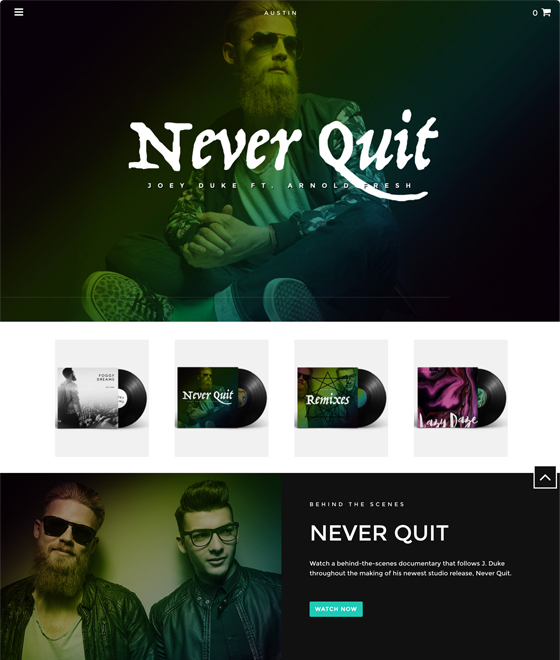 Austin's bold display makes it one of our most striking ecommerce website templates. 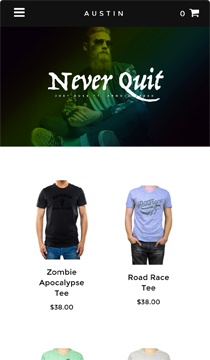 The Austin theme is a great way to feature a small number of products. The bold styling catches the eye, and the simple home page funnels attention towards your products.